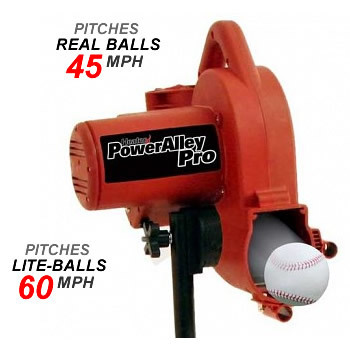 The Heater PowerAlley Pro Real Baseball Pitching Machine is the most accurate pitching machine in its price range. Its unique swivel joint lets you quickly switch from hitting fastballs to defensive practice where you can field grounders or pop flies. 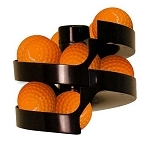 Pitching lite-balls up to 60 miles per hour and regulation baseballs from 15 to 45 miles per hour, its height adjustment allows you to change the rise of the pitches, too. With so much versatility, the PowerAlley Pro pitching machine will prepare you for anything that s thrown at you! Heater Sports' PowerAlley Pro Real Baseball Pitching Machine features a durable nylon-fiberglass housing which fully encases the horsepower motor and wheel to help protect the wheel and the people around it. 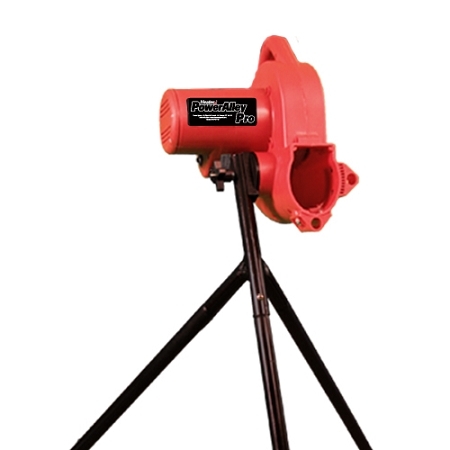 Supported by a sturdy steel tubing tripod, the pitching machine and stand are lightweight and high-impact resistant. Featuring a 1 year manufacturer's warranty and 30-day money-back guarantee, you can t lose when you purchase a PowerAlley Pro! Q: does it pitch softballs? 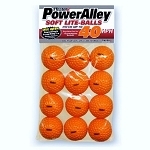 A: The PowerAlley Pro Real Baseball Pitching Machine pitches baseball-size balls only. Pleas visit our Softball Pitching Machines category if you need a machine that can throw softballs or our Combo Pitching Machines category if you want a machine that can throw baseballs and softballs. To ensure your satisfaction, the Heater PowerAlley Pro Pitching Machine includes a 30 Day Money Back Guarantee. PowerAlley Pro baseball pitching machines are also backed by a Full 1 Year Warranty that includes repair, replacement and labor. 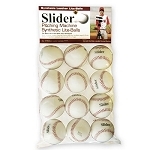 No matter where you order a PowerAlley Pro Real Baseball Pitching Machine from, NOBODY actually stocks them; they all ship directly from the manufacturer's warehouse located in St. George, Utah. Therefore, the shipping time frame is exactly the same no matter what website you order from (we hope that it is this one!). 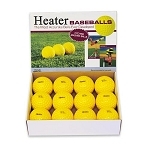 Heater PowerAlley Pro Pitching Machines typically take 2-4 business days to ship from the time you place your order. They ship via Federal Express (FedEx) Ground and could take anywhere from a day or two to a week to get to you AFTER being shipped, depending on your proximity to their warehouse. We will notify you of your tracking number the moment we receive it from the manufacturer's warehouse. Click here to download an easy to read, printable PDF of the Heater PowerAlley Pro Real Baseball Pitching Machine Owner's Manual.